Does your life revolve around Facebook? Are you constantly compelled to check every notification? If so, you should probably learn how to make money on Facebook to make good use of your time. 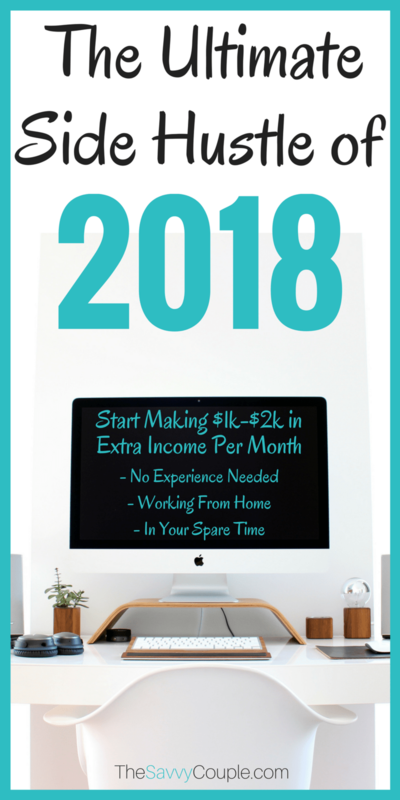 Even if you currently don’t have a side hustle, we’ll show you how to start the right way and make some extra money. Depending on how much time you spend, you might be able to earn a sizable income. But, even if you earn a little spare change, that’s more than you had before. Let’s dive deep into the magical money-making machine that Facebook is! Why are Facebook Ads in Demand? Unless you have been living under a rock over the past year or two, you have probably heard of Facebook ads. I know for a fact you have seen them in your news feed. There are A LOT of digital marketing services you could provide for local businesses to make money. These include social media management, writing blog posts, search engine optimization, etc. But out of all the options out there, the most requested service right now is Facebook ad management. Businesses owners need people who can run their ad campaigns and bring them, new customers. So they look for people like YOU to hire and perform this service for them. Well, old fashion advertising does not work anymore. Business owners that are stuck in the past trying to advertise on the radio, TV or billboards are struggling big time! One thing all business owners want is MORE CUSTOMERS. That’s why smart business owners are turning to Facebook ads. Facebook is the most robust and targeted ad platform ever. A business owner can place an ad targeting people in their town or people who have a certain interest and get clicks on their website, book appointments, or start making sales. This can literally be done in a matter of minutes. With Facebook, a business owner can start advertising with a small budget and start seeing immediate results – that same day, usually within a few hours. Pretend you’re the business owner. Let’s say you own a Crossfit Gym. Let’s also say you charge a customer $150/month for their membership. And, for the sake of this exercise let’s say that an average customer stays with you for 10 months. Well, now you know every customer that comes into your business is worth (on average) $1,500. If someone told you they could set you up with an automated Facebook ad campaign that could bring you between 10-20 new customers every single month… how much would that be worth to you? If you got just 10 clients a month with this method, that would be an extra $15,000 in new business. Would you give someone $1,000 if you knew you would make $15,000 or more, every single month? Talk about ROI (return on investment)! You can provide local businesses with HUGE VALUE! 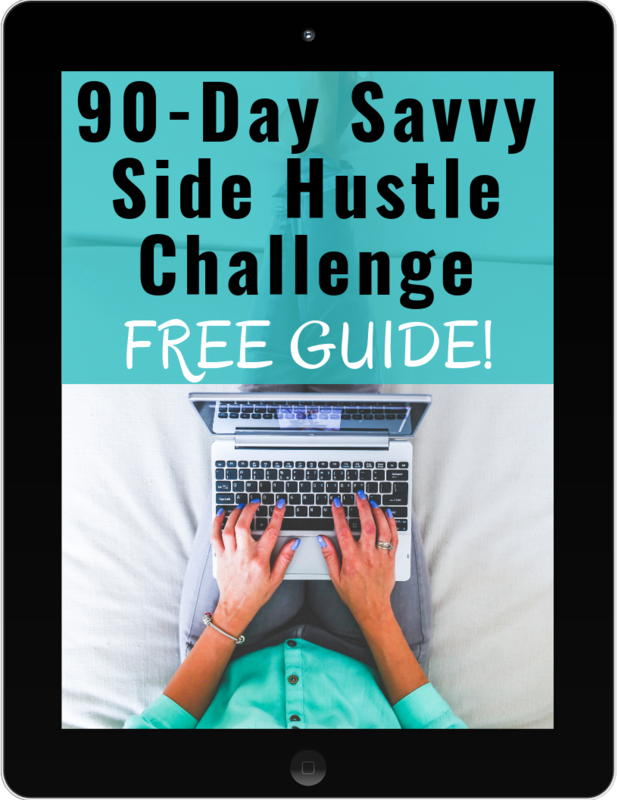 Learn how to start this awesome Facebook side hustle now. The best part is that you need zero experience to get started. You can learn EVERYTHING you need to know about running Facebook ads for local businesses by taking this one course. I (Kelan) took the course myself and even before I completed it I had my first client lined up. The course is priced VERY reasonably at $397. Other courses similar to this are priced well over $1,000 and I promise you they are not as good! The value you receive is worth 10x what is being charged. It’s mind-blowing what our friend Bobby Hoyt includes in there. If you don’t build your knowledge base with a course like the Facebook Side Hustle Course, then you won’t be properly equipped to best serve your clients. Facebook makes it incredibly easy to sell items. Whether it’s through the Marketplace like your own garage sale or with your own custom products, you can definitely make some sales. Here are a few reasons why you want to sell your items on the Marketplace. The process of selling on Facebook is actually quite simple, so you’ll get the hang of it quickly. To maximize your earnings, you should do a combination of the methods above. You’ll be able to reach more people in groups, but make sure that the group is targeted toward the item you’re selling AND the region you’re selling in. The secret to selling successfully is putting a lot of details in your description and including quality pictures. People really want to know what you’re selling before they purchase it. Warning: be careful about posting your address or any personally-identifying information. If you know something that other people should do, create a course or a product around it! We did this with our budgeting binder. We paid off all of our debt using these strategies and we wanted to share the love. If you want to know the technical methods to create your own digital product and how to market it, then this course is perfect for you. In fact, we have a whole guide on making money online from home you might enjoy if you take this route. Once you have the product created, all you have to do is post a link to the sales page and convince people to purchase it. Be careful about posting your sales pages in certain groups as the administrators may not allow it, so always check first. Making money online is simple once you learn about affiliate marketing. This is actually how our blog makes most of its money. You partner with companies that you love and think people would find value in. Then, you use a special tracking link and post it on your Facebook timeline. Every time someone uses your link to purchase, you get paid a small commission. You don’t even need a website to do this. It’s a great way to provide value to others and make some money of your own. When we first started our blog, we had no idea what affiliate marketing was. After we took the course Making Sense of Affiliate Marketing, we started to earn thousands of dollars a month online. Making money in Facebook groups follows a similar process as above. You just have to get them to purchase using your link. When you’re a guest in someone else’s group, you’re subject to their rules and that might not include posting links you profit off of. Major bummer! However, if you create your own group and invite your friends and other people in your network, you get to choose the rules. As the group administrator, people trust you, and trust leads to more sales. Plus, creating a group is super simple. Moderating it doesn’t require that much effort. When you engage people in your group, they will be more likely to purchase from you. Check out The Savvy Couple Community on Facebook for a glimpse. If you have interests that other people share, create a Facebook page! Many businesses have Facebook pages, but it is not necessary at all. You can create one based on general interests. People use the search bar to find pages to follow and they might just find yours. You can manage your own page right from your personal account, so it’s not a complicated process to run both. Since pages are yours, you can post your affiliate links as you please. Just be aware of the proportion of affiliate links to other content. To succeed on Facebook, you have to post several times per day (their algorithm doesn’t prolong content unless there’s engagement) and be more of a curator than a creator. We have our own Facebook page that you can follow to see how someone does this in action. In this day and age, it’s easy to become an influencer. Celebrities do it all the time–all your favorite athletes and actors have deals with brands for promoting their products. But, you don’t need to have a massive following to be an influencer. If you’re interested, start by reaching out to smaller brands first before approaching the wealthier ones. Sponsorships can be an entry-level introduction in learning how to earn money online, but some online personas snag sponsorships to the tune of a full-time income. There’s a trend of companies favoring micro-influencers who have a small, but loyal following over larger influencers. Companies are looking for a good return on their investment. You can offer different packages and even create a media kit. You can also post affiliate links as an influencer and make money on Facebook that way. If you truly love spending time on social media, then you can work as a virtual assistant. Yes, social media management is technically classified as a form of virtual assistance. As a social media manager, you’re in charge of everything that goes on in your client’s profile. This is more than just managing ads like above. But, if you can do both, your clients will thank you! Ultimately, it’s up to you and your client. Having a stable income every month from a client is great when you’re just starting out. When we say “administrative,” don’t get this stuffy concept of working in a cubicle performing mundane tasks. You can do this from home and it will probably take under an hour per day per client. While Facebook is just part of it, he makes over $1,000 per month as a virtual assistant with just one client. You can really make some extra money on the side being a virtual assistant. People who run Facebook groups and Facebook pages with a large number of members and followers need help. Most people like to hire from within their communities, so get involved and pitch yourself after they take notice of you. Here are a couple other ways to make money on Facebook that didn’t fit into the above categories. While this technically isn’t a way to make money on the platform itself, if you really enjoy Facebook, they can enjoy your investment in the stock market. At the time of writing this article, Facebook does not pay dividends to shareholders, but that doesn’t mean that you can’t make money. Of Facebook’s 40 billion in revenue in 2017, 99% of that is coming from ads (which is why you should manage ads, by the way). So, as long as companies find value in their ads, then Facebook isn’t going anywhere. This means that your stock value should rise over time, making you money. This is not a get rich quick method for how to make money on Facebook, but it can work in the long-term. We like using Acorns to round up our digital change to invest in the stock market. Whether it’s taking an online survey or participating in sweepstakes, you can earn Amazon gift cards. You might see advertisements to participate in these on your Facebook timeline. Getting free gift cards takes a little work (and some luck), but it’s extremely simple. If you need to raise money and people think it’s a justifiable cause, they can contribute. After the site takes their cut, you are left with the rest to take home. Just be careful about doing this too often as it could look like you’re spamming your friends and family. But, if you have a worthy cause, it’s a viable option. In this case, you’re not technically taking the money home, but there are plenty of charities and non-profit organizations that can really use your support. Recently, when it’s your birthday, Facebook asks you if you want to host a fundraiser in honor of the special day. If you feel inclined, you can set one up. It doesn’t have to be your birthday, though. You can create on at any time. If you want to learn how to make money on Facebook, we hope this article showed you all the possibilities you could think of. Depending on the method you choose, you might even make enough money to quit your job. Making money on Facebook is ideal for anybody with some extra time on their hands, such as stay-at-home mothers (and fathers), college students, and anyone with debt to pay off. If you have any questions about making money on Facebook, post them in the comments below. If there are other ways, make sure to let us know. Start a Money Making Blog – It takes a lot of effort up front but once you start seeing the success the sky is the limit. Our blog regularly brings in over $10,000 per month. Start a Facebook Side Hustle – Want to make money using Facebook. There are plenty of small business owners in need of marketing help. The perfect flexible side hustle anyone can start. Teach for VIPKID – If you love working with kids and have some teaching experience why not earn up to $22/hour teaching English online? Become a Freelance Writer – Freelance writing can be an incredible side hustle. Earn anywhere from $0.10-$0.20 per word depending on your experience. Become a Proofreader – Love to read? Why not get paid to read others work and find spelling/grammatical errors. You can easily earn a few hundred dollars a month in your spare time. Become a Pinterest VA (virtual assistant) – Love being on Pinterest all day and all night? Why not help other online business owners market their business with your Pinterest skills? Take Online Surveys – The perfect side hustle while you watch tv, wait in the doctor’s office, or even sit on the toilet. Yes, you can make money while you use the bathroom. Success, you are now a part of our $avvy side hustling community! You will receive an email shortly with your FREE guide! I’m thinking of using Facebook to grow my blog’s readership. Not sure if you think this is a good idea. It can get expensive, but I think it will be worth it in the long run. We are currently using FB to grow our business. You just need to set a budget and stick to it. Learn as much as you can about FB before you start so you are not throwing money away. Always start with your warm audiences (fans, email list, FB likes) then go to colder audiences to test (interests, other FB pages, etc). What happens if you don’t have a warm list? You’ve established your blog/business, but you want to grow your email list using Facebook ads. Would you go to interests and Facebook pages or not bother with ads until you have some sort of warm list? Or can I use FB ads to grow my FB group/page, then use ads and groups to gain emails and then FB groups and emails to gain purchases? This is a great question to ask in our private FB group for bloggers. You can find it here facebook.com/groups/bloggingwithpurpose. Looking forward to seeing you there! Searches your site today specifically for this post about Facebook ads and found out they up-ed the price from $297 to $397. Sadly, I cannot afford that. Was very sad to see that. Yea unfortunately that price was only for a limited time. If you ever have it in your budget it’s worth every penny.